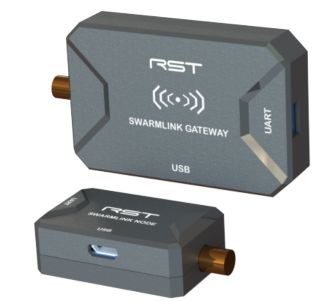 Robsense SwarmLink telemetry radios allows connecting multiple drones to a single ground station without the need for multiple radios on the ground station side (i.e. it creates a mesh network). Network monitoring and configuration software is also included. 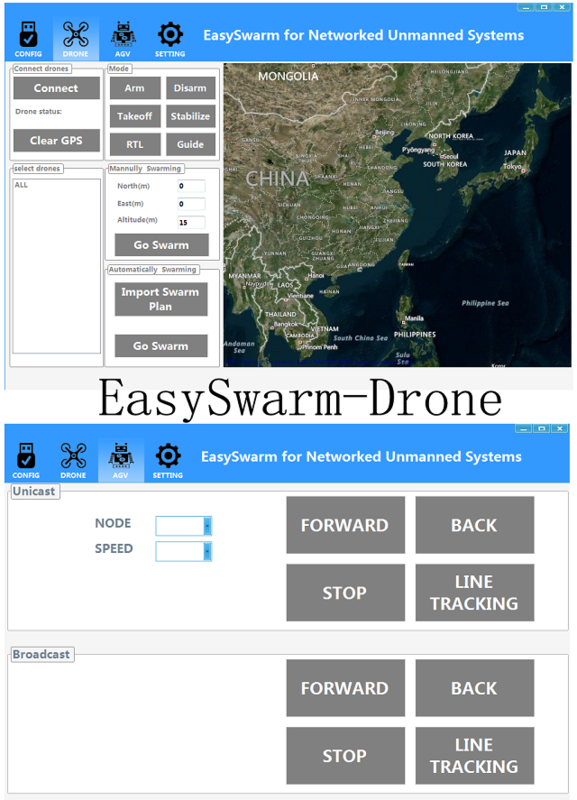 Built on top of the SwarmLink hardware, EasySwarm is a developer focused ground station and development kit aimed at making swarming easier. This free and open source software can be found in the RobSense SwarmLink github repo. Features include customised swarming policies, dynamic waypoint planning and real-time tracking of all vehicles.